When you have a new baby there is so much to think about! When should you feed them, and how can you get them to sleep? One thing you may not be considering is your child’s teeth. 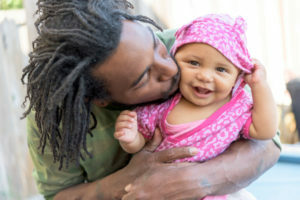 Their first baby teeth will begin to erupt anywhere from 6 – 12 months old, and you should actually start brushing them as soon as they appear with a toothpaste that is safe for your baby to swallow. By the age of one year old, your child should have their first trip to the dentist. 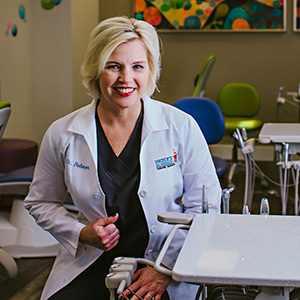 Dr. Angelica Rohner, your pediatric dentist in Birmingham discusses your child’s first dental visit. When your child first comes to see us we’ll spend a lot of time acclimating them to our office and the instruments we use. We’ll give them a ride in the big chair, and Dr. Rohner will examine their teeth and make you aware of any early developmental concerns. We’ll want to see your child back every six months after that, and as they get older, we’ll begin to incorporate teeth cleanings into their appointments. It’s especially important to help your child build strong and healthy teeth. You can do this by ensuring they eat a healthy and nutritious diet. Fruits and vegetables not only help to build strong teeth, they also help protect teeth from tooth decay and cavities. This is because eating fruits and vegetables neutralizes the acids in the mouth that cause tooth decay. They also increase saliva flow, which helps to wash away food particles and debris in the mouth. We help children build strong teeth with fluoride treatments. Fluoride is a mineral that occurs naturally and helps to build, strengthen, and remineralize tooth enamel. Dental sealants are used to provide a protective coating over the chewing surfaces of your child’s teeth. This keeps the bacteria and acids that cause tooth decay away from your child’s teeth. For children who need a little extra assistance getting through their dental appointments, we also offer options for dental sedation. Nitrous oxide is a breathable gas that is safe for children, and can help your child relax and feel more at ease during dental procedures. If your child requires different sedation options, Dr. Rohner can discuss which sedation might work best for you child. Your child’s comfort and safety is always our top priority. Dr. Rohner has had extensive training and has developed specialized skills to meet the unique needs of babies, children, and adolescents. We know your child will love working with our team! Contact our office today to schedule your child’s next appointment.